Ron Klemencic, PE, SE, Hon AIA, Magnusson Klemencic Associates, has been selected as the recipient of the 2015 Professional Engineer of the Year Award for his outstanding service to the engineering profession and his lifetime of achievement in excellence and innovation. He has led the advancement of performance-based seismic design methodologies, development of innovative structural systems, execution of cutting-edge research undertakings, and involvement with code development and enhancements. He shares his knowledge widely and on many levels, speaking at international conferences, serving on technical committees and panels, advising government agencies, participating in educational programs, and through day-to-day mentoring. Mr. Klemencic has spent the last decade pioneering the development and adoption of a new design methodology known as “Performance-Based Seismic Design” (PBSD). This design approach provides high-rise buildings with increased safety, reliability, and architectural/programming flexibility at reduced cost. The PBSD approach that he developed not only meets the intent of the building code but actually designs to a much larger earthquake and higher level of performance than required by the code. To date, he has led the design of 36 PBSD structures – more than any other U.S. engineer. In 2014, the American Institute of Architects recognized his extraordinary contributions by granting him a national Honorary AIA membership. 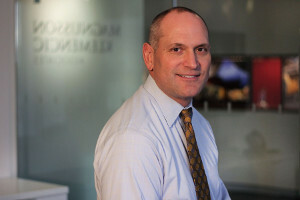 Rather than simply implementing established design approaches, Mr. Klemencic is passionate about exploring new approaches for improved designs, He has been actively involved in multiple research projects at the University of Washington, University of California at Los Angeles, Purdue University, and the University of California at Berkeley. His studies and published papers cover a wide variety of complex topics, including post-tensioned floor slabs, reinforced concrete wall connections, large-scale reinforced concrete link beams, dual-plate composite core walls, steel coupling beams, coupled concrete shear walls, and steel concentrically braced frames.